OK, look. 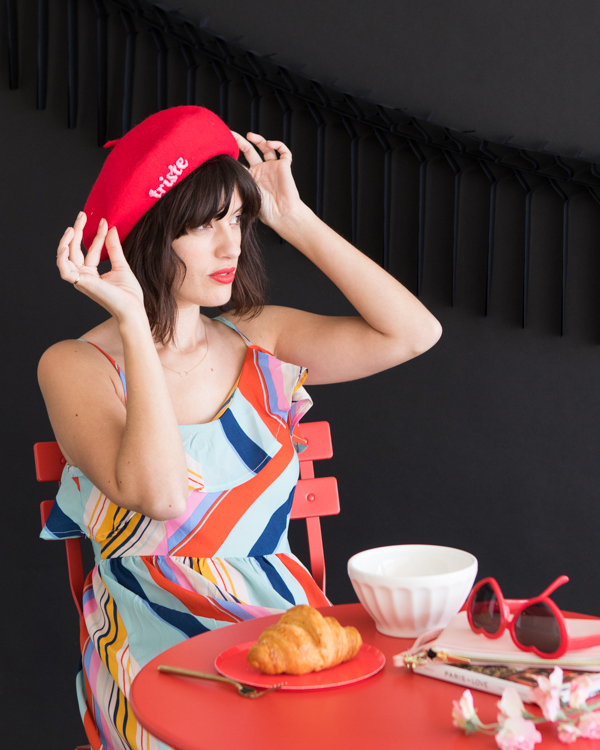 We know the French don’t actually wear berets and carry baguettes all day, but berets are so quintessentially French, we couldn’t resist doing them for our latest makeover! 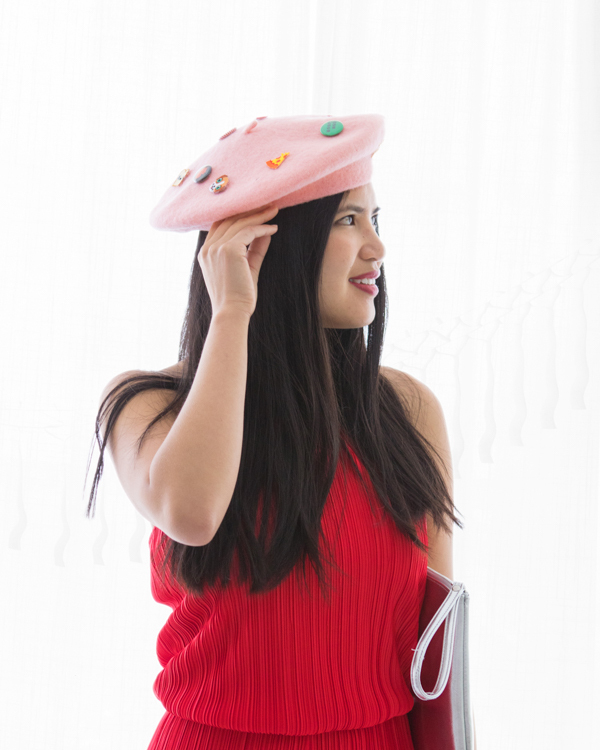 In part un of our Beret Makeovers, we thought up a few ways to add a bit of flair to your cap without having to spend hours on end crafting. Read on to see how we did it! Step 1: Print out the text onto a sheet of paper, then cut out the design with scissors, leaving a border. Step 2: Secure the brim of the beret into the embroidery hoop. Then, center the design onto the fabric and tape down to secure. Step 3: Use needle and embroidery thread to fill in the text design using a satin stitch. Once the design is filled, remove the paper to reveal your embroidery. Step 4: Remove the beret from the embroidery hoop and you’re good to go! We need to talk about your flair. We saw these sticker patches at These Are Things and thought they were just so. stinkin. cute. 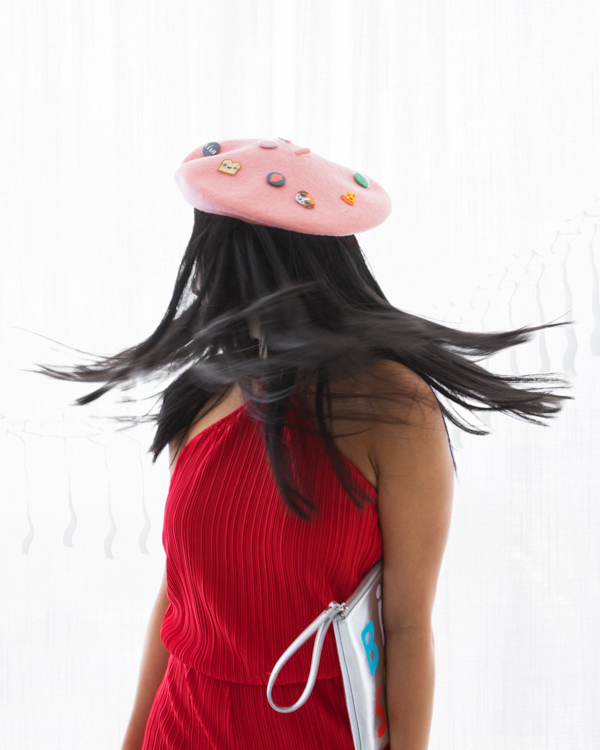 Sprinkle embroidered patches and pins on the top of a beret for a confetti-covered look. It’s a fun way to show off your personality! And a great excuse to buy more patches! Step 1: Figure out where you want to put your patches and buttons, then mark the placement. Step 2: Remove the paper backing from the patches and stick onto the beret. For a more permanent fix, you can iron the patches on. Pin on the buttons and you’re all set! THESE ARE AMAZING!! 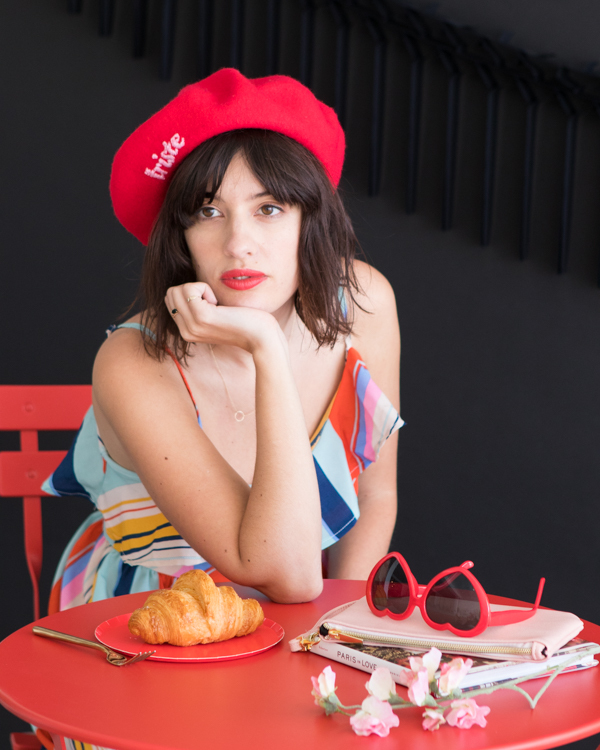 In dire need of a beret makeover now! 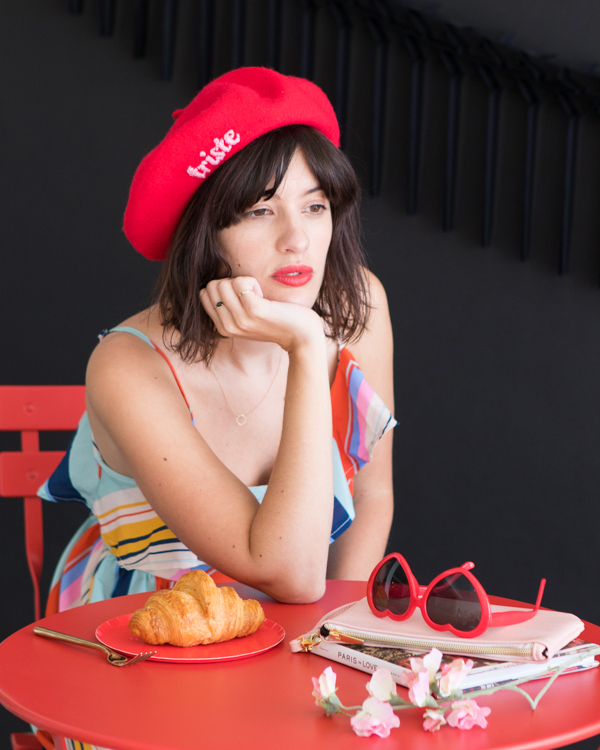 I bought a beret last time I was in Paris at Chrismas and I haven’t worn it yet because the weather has been so blah on the East Coast. I have plans though to wear it soon! 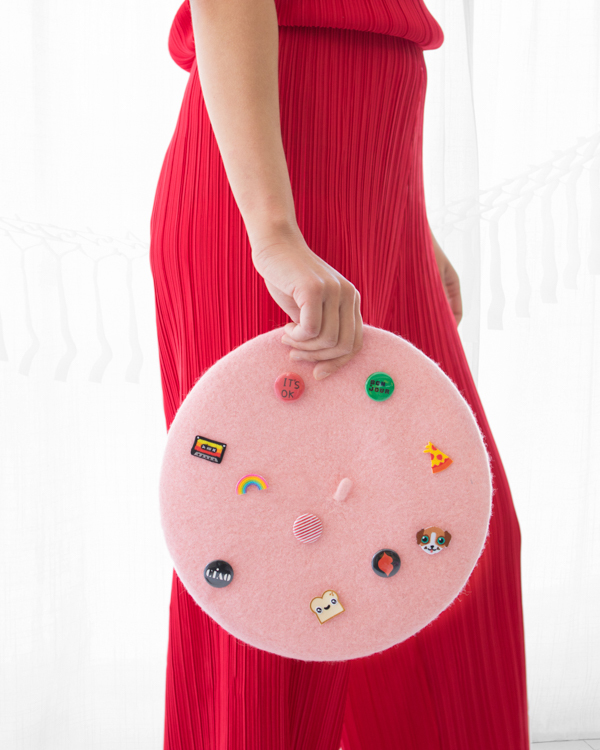 I LOVE the idea of putting pins on the back – so cute! Amazing idea, both pretty and fun.